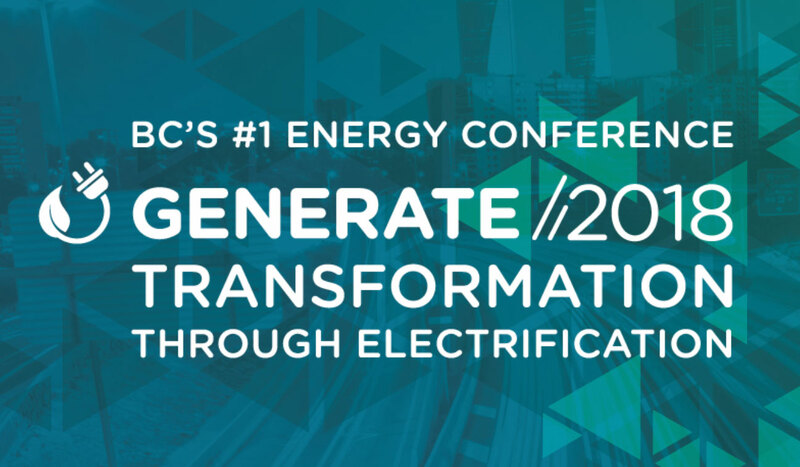 Both Anthony Morgan and Jae Mather, co-founders of Carbon Free Group will be guest speakers at Generate 201 - Transformation through Electrification, held in Vancouver, 26th – 28th November. This event, which features 3 days of workshops, exhibitions and plenary sessions, is hosted by Clean Energy BC and is an integral part of their 16th annual conference. It is one of Canada’s foremost energy conference events, attracting an international audience that includes power producers, government representatives, utilities professionals, consultants, contractors and suppliers. Anthony will be speaking on Wednesday 28th November at 9.00am, as part of a panel addressing ‘The Next Generation of Innovation’ in clean energy. Jae, who is also executive director of Clean Energy BC, will be speaking as well as moderating several plenary sessions over the 3 days of the conference. Further details and timings for the event can be found at generate2018.ca.